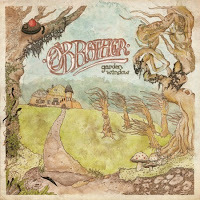 ‘Garden Window’, the debut full-length from Atlanta, Georgia’s O’Brother is nothing if not intriguing. Whilst by no means a tough nut to crack, it is not an album of cheap thrills, rather a deeper experience that rewards repeated listening with quality song writing and genuine feeling. 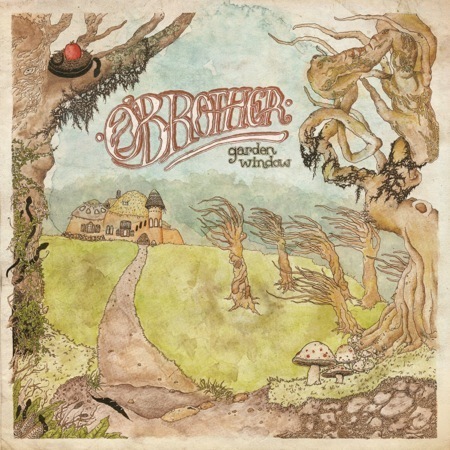 It’s a record with a fantastically brooding and mysterious atmosphere, where psychedelic soundscapes, hypnotic repetition and eerie melodies carried both by vocals and instruments all create a rather unique sound. Whlist influences such as Brand New and Thrice are carried proudly, they are not abused. Opener ‘Malum’ sets the tone with a recurring vocal motif and fuzzed-out guitars, gradually building to a climax that segues into first song proper, ‘Lo’, which takes up the vocal motif from it’s predecessor and builds it into the verse melody, a neat association that goes a long way to characterizing the band’s attention to detail in their song writing. ‘Sputnik’ moves from the slinky syncopation of the verse to a big chorus, a wailing trait shared by the truly superb ‘Lay Down’, while ‘Poison!’ is more of a slow burn, all but ending before unleashing a superb outro which deftly builds to an arresting climax before letting it slip away again with the haunting “This wasn’t right, but it’s what I needed…” providing appropriate lyrical fare. It is a record that could be said to undulate, dynamically rising and falling as it travels from one great moment to another; if it has an issue of note, it is that the considered nature of the pacing and arrangement can occasionally turn to self-indulgence. ‘Easy Talk (Open Your Mouth)’ spends too long not really going anywhere before managing to pick itself up to deliver a compellingly rhythmic ending, likewise ‘Bear’ meanders too much but struggles to save itself in quite the same way. These gripes aside though, ‘Garden Window’ is an engaging and poised release from a band that look set to take a big step up. Stuffed full of superb individual moments that are, for the most part, skilfully bound together in a coherent and stylishly individual whole, it’s a worthy achievement. 'Garden Window' is out November 15th on Triple Crown Records.